No matter how liberal your views, there is an ethical issue here that does not let you come to terms with someone who is pro-terrorism against Israel and would like to see the Jewish state eliminated. The writer served as the Chairman of the Council of Judea and Samaria from 2007 - 2013 and was subsequently appointed its Chief Foreign Envoy. His articles regularly appear in major international media. 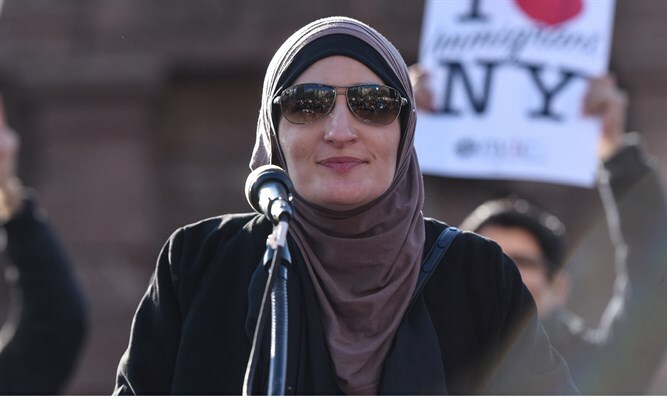 (JTA) -- Now that the furor over Linda Sarsour’s commencement speech at CUNY’s Graduate School of Public Health is over, it is the right time for me to draw some conclusions and express some thoughts surrounding the event. I had intended to weigh in earlier, and I could. It is not a domestic American issue in which a foreign diplomat is not entitled to intervene; it involves my country. Sarsour, the former executive director of the Arab American Association of New York, supports calls to boycott Israel. She shows understanding, to say the least, toward acts of terror targeting Israelis and defames Zionism, the national liberation movement that established Israel. Most important, she implicitly and sometimes explicitly advances the heinous idea that Israel has no right to exist. Therefore, as the senior diplomatic envoy of Israel in New York, it was my right – and probably my duty – to intervene. Nevertheless, except for raising the issue once when CUNY Chancellor Michael Milliken called me on a different issue, I did not intervene. The main reason was the anti-Sarsour rally that took place outside CUNY premises on May 25. Some of the speakers there engaged in blatantly racist rhetoric, above all Milo Yiannopoulos, the "alt-right" personality. The mere participation of Yiannopoulos in the rally – let alone his words – was abhorrent: He is on record defending pedophilia. The moment this individual and his followers coopted the cause against Sarsour’s invitation, I felt compelled to step back. Add the reports about physical threats against Sarsour and her family, and I decided to keep silent. It was not the first time, nor unfortunately the last, in which extremists damage a just cause. "We may not agree with Sarsour on all matters. We do not offer our stamp of approval to every tweet or message she has ever posted. But in this time … we are committed to bridging communal boundaries and standing in solidarity with one another. With Sarsour and others, we work as allies on issues of shared concern and respectfully disagree when our views diverge." Every tweet or message? Respectfully disagree when our views diverge? Condoning terrorism, embracing convicted assassin Rasmea Odeh, excluding Zionists from the feminist movement and denying the right of the Jewish state to exist can be minimized that way? Are not these morally abhorrent positions of the same magnitude like the apologetics for pedophilia? That is not “bridging communal boundaries." It is coming to terms with bigotry. There are positions – like those of Yiannopoulos – that make collaboration with their holders on any matter an ethical wrongdoing. For example, you do not collaborate with a racist on any matter. You do not collaborate with a sexual offender on any matter. And as Jews, as lovers of Israel, as progressive Americans and above all as ethical human beings, you should not collaborate – on any matter -- with a person that condones terrorism, excludes Zionists and wants Israel eliminated. It is not about “approving a tweet.” It is about your moral priorities as a Jew and as a human being.